I have been away for a few days celebrating my mother's birthday and spending time with my sisters. It was fun creating with with one of my sisters who has just started to work with different media. As I only had a small supply of art supplies with me, it was challenging to find ways to use what I had. 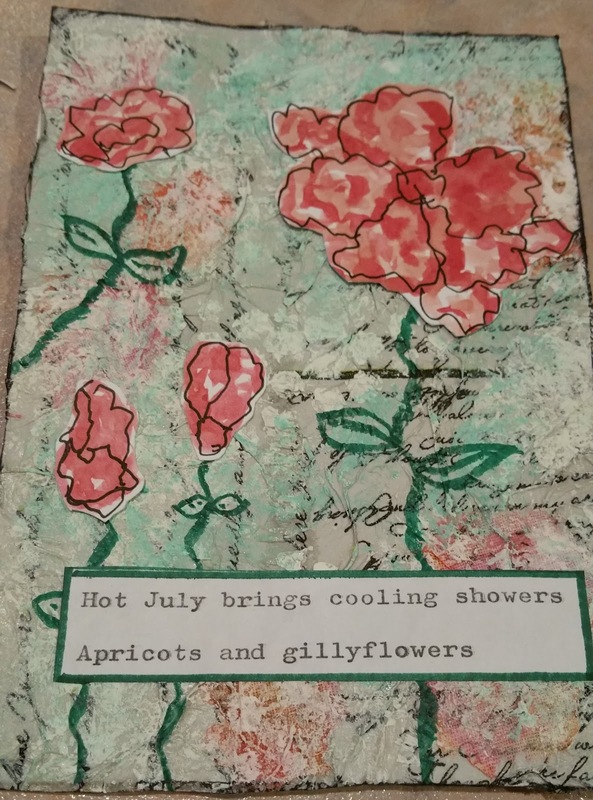 I completed a few ICAD's using what I had and then I moved on to the July challenge for The Months by The Craft Barn. 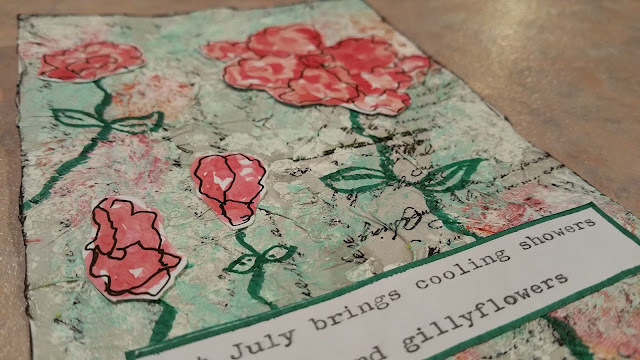 I was a little annoyed when I realised I had let my 'Month' journal behind, especially as I had started preparing the backgrounds. 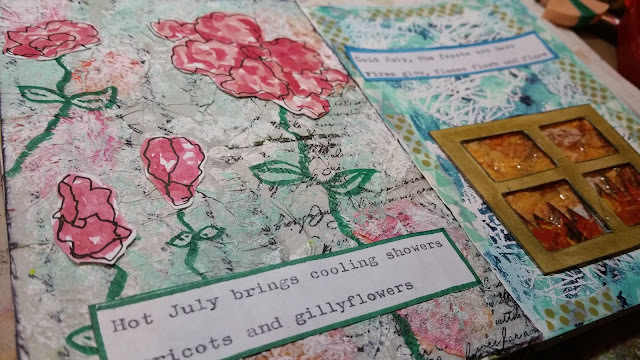 So I started again, knowing I would have to stick in my page and complete my Southern Hemisphere page later - then I checked the CB blog and found I was a week ahead of myself!! So I have waited to post, having completed the Winter page at home. My mum had some great napkins with text on them, that I used as the background and then layer with white acrylic and Gelatos. 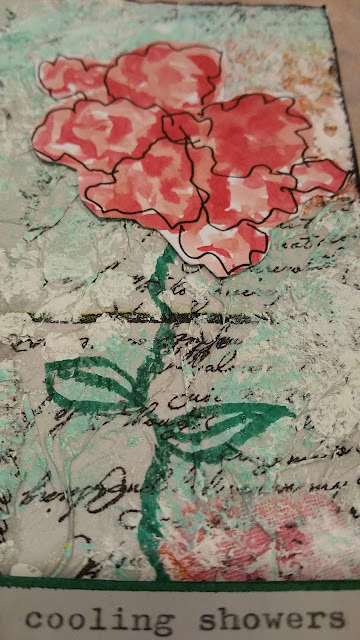 The flowers where painted with watercolours and then detail added with black pen. I had also prepared the text at home - and left it there - but as I managed to acquire an old typewriter while I was away, I typed out the couplet from the poem. So I still stuck in the page I completed while I was away, but now have both pages done to share with you. 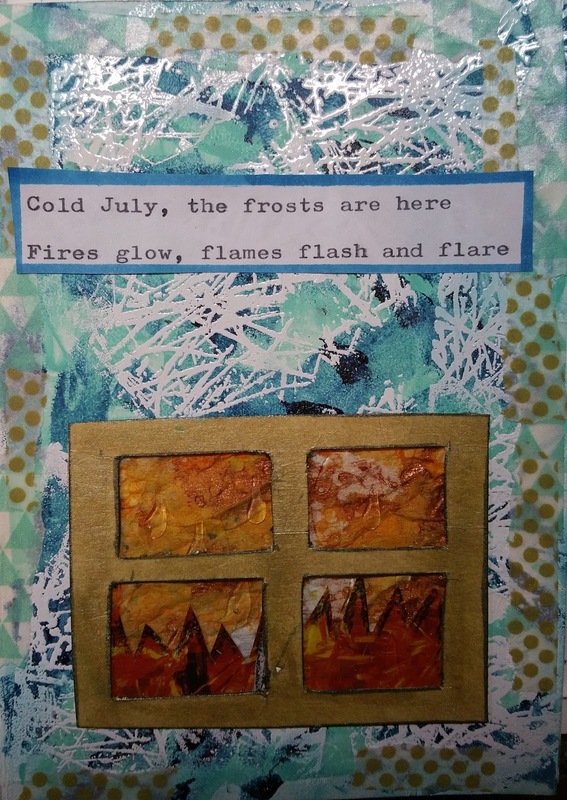 For the Winter page, I used a similar technique as I used in the song challenge a couple of months ago for I Can't Stand the Rain. 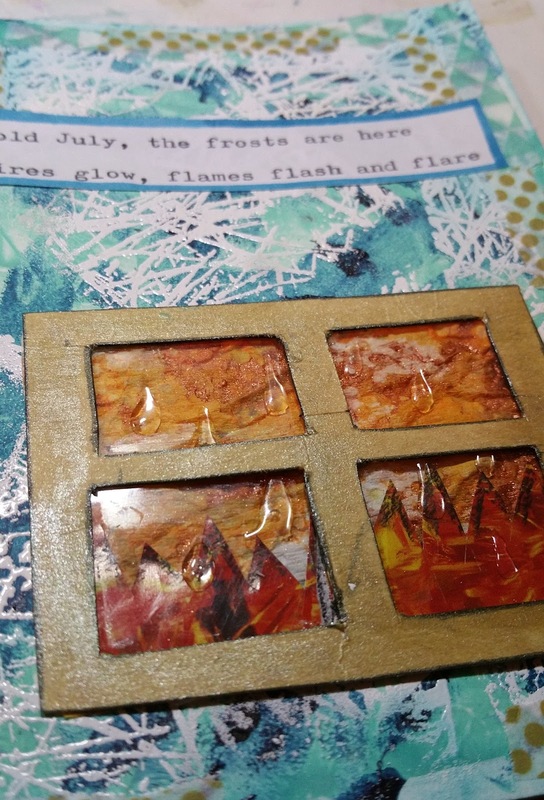 The window is sort of just sitting there, but I didn't want to lose my frost effect created with a white embossed stamp. Great pages. I think this month more than the others you really get the sense of the contrast between the hemispheres. 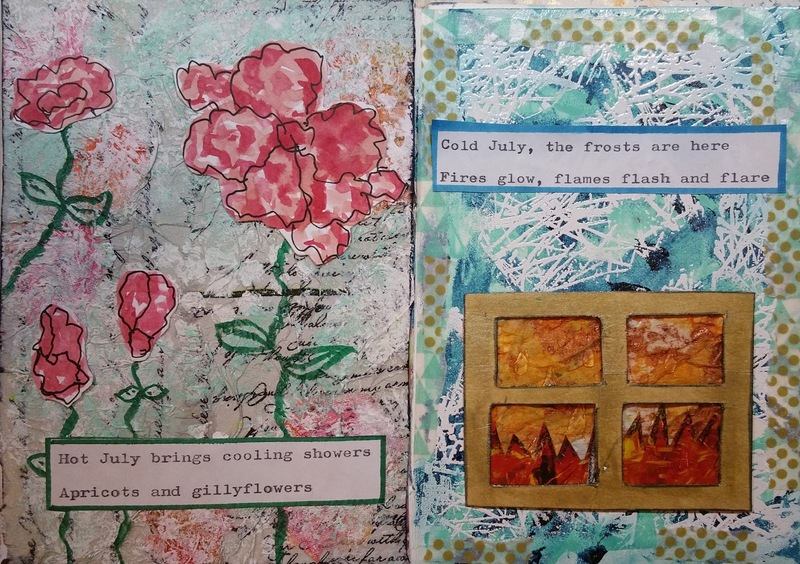 Loving your two pages with the summery flowers and winter fires! !